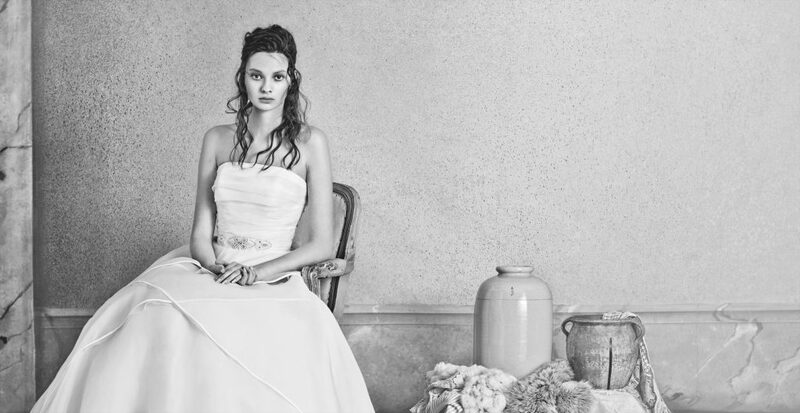 Alan Hannah is at the forefront of innovative wedding dress design. All of our wedding gowns are proudly made in London, UK. With over 25 years of experience, our designer, Marguerite Hannah is one of the most respected and experienced couturiers working in England today. Marguerite has been awarded designer of the year on seven occasions. She continues to lead and influence modern designer wedding dresses. She’s also created another two collections, MiaMia and Rita Mae, which is our new short wedding gown collection. We have just a few wedding dresses left in stock by Alan Hannah. Contact us to make an appointment to come and try these and other dresses on.